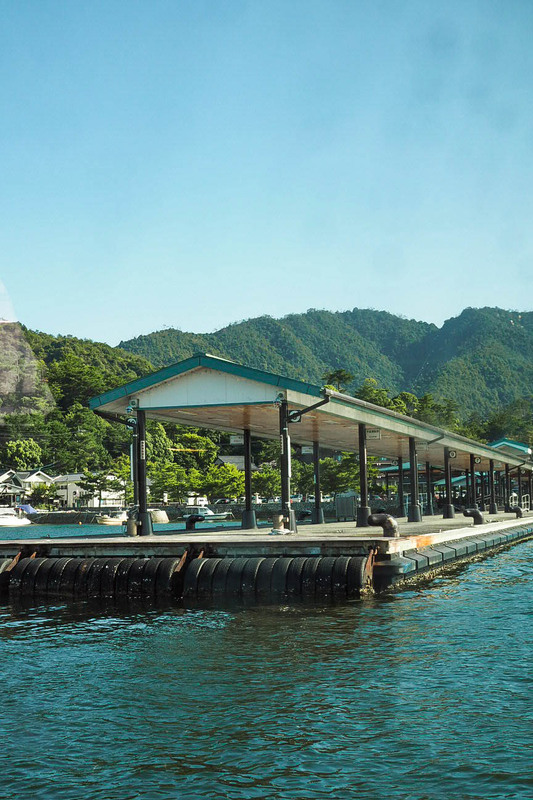 Prior to visiting Japan, I didn’t know the name of the island that is home to the famous floating shrine. 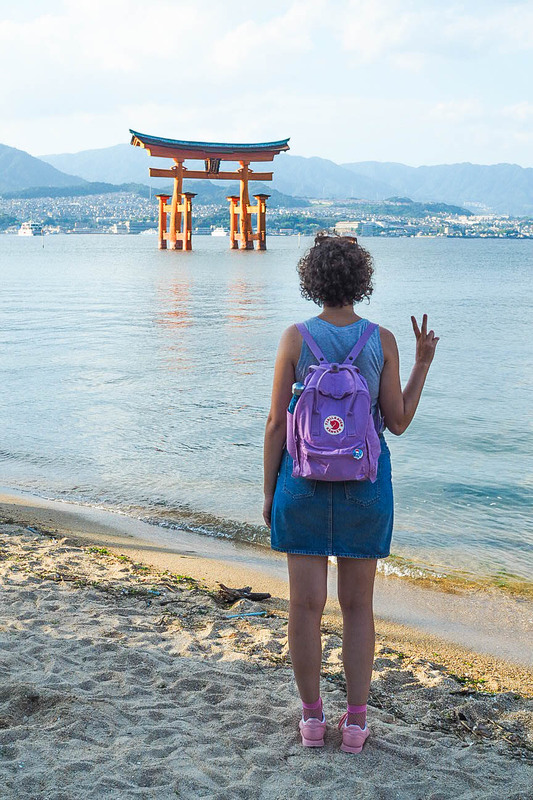 Rather like my visit to Himeji Castle, I knew the emoji symbol and the fact it looked pretty in photos, but it was only with some research that I realised it would be feasible to visit it on a day trip from Osaka, and that the island it lives on is called Itsukushima, but is commonly known as Miyajima. 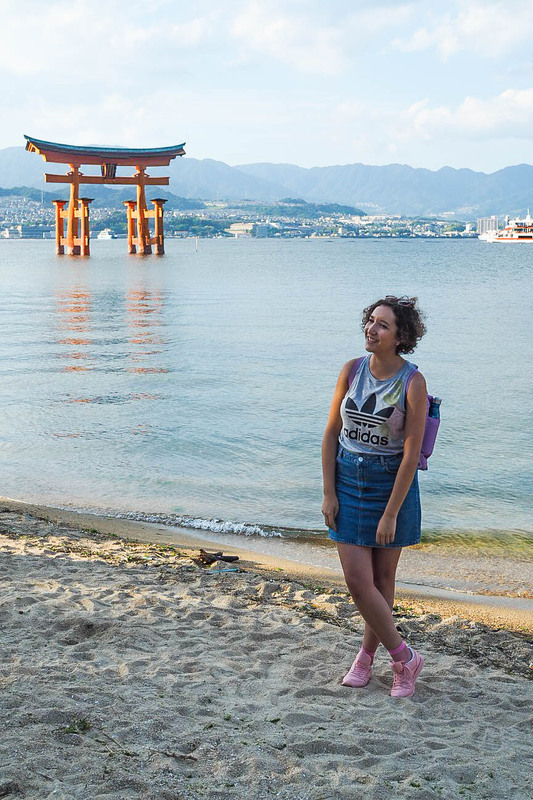 We actually spent the morning in Hiroshima and then got a boat over to the island. 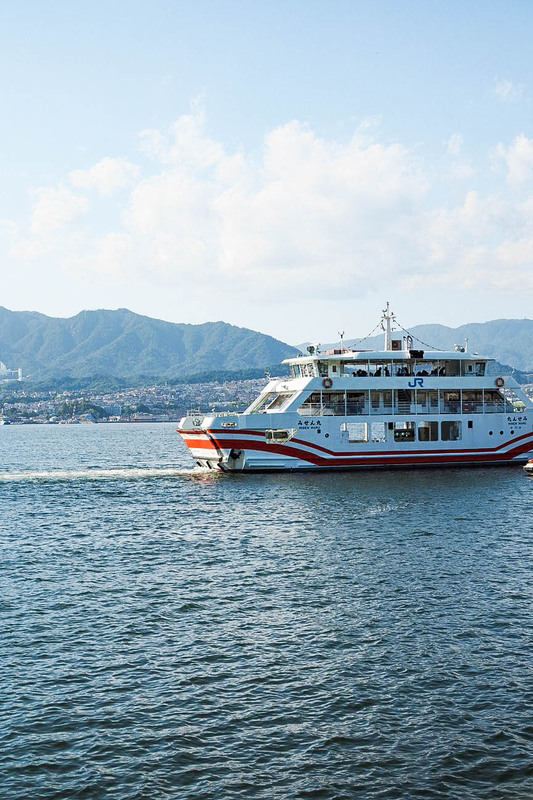 We opted for the sightseeing boat on the way there as it was closer to the Peace Park we’d been visiting, but if you have a JR Pass, you can get the ferry from Miyajimaguchi on the mainland for no extra cost. 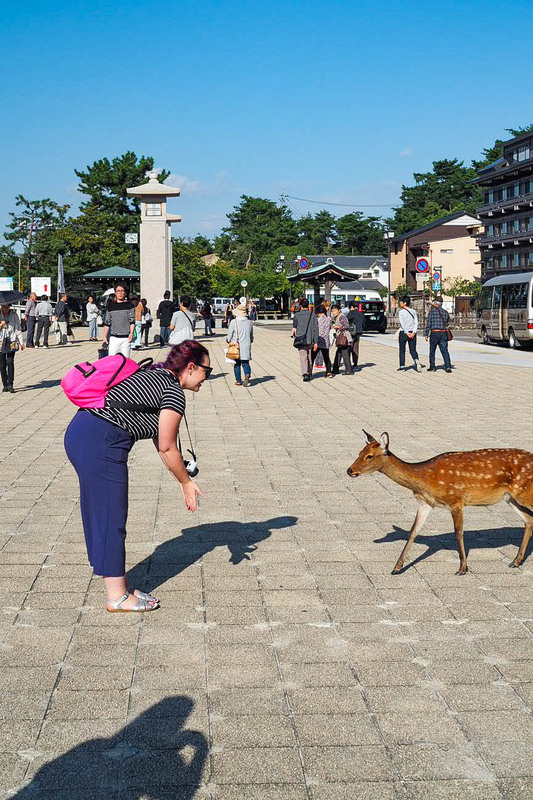 If you don’t make it to Nara on your trip, you’ll be as pleased as I was to see wild deer roaming around wherever they pleased. 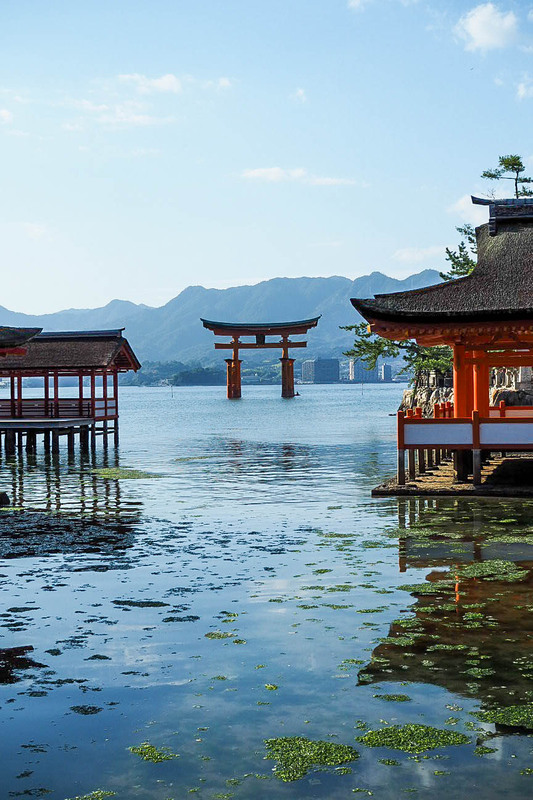 Miyajima is known as The Island of Gods, and from the moment we arrived we could see statues, shrines and temples across the waterfront and along the main walking path. 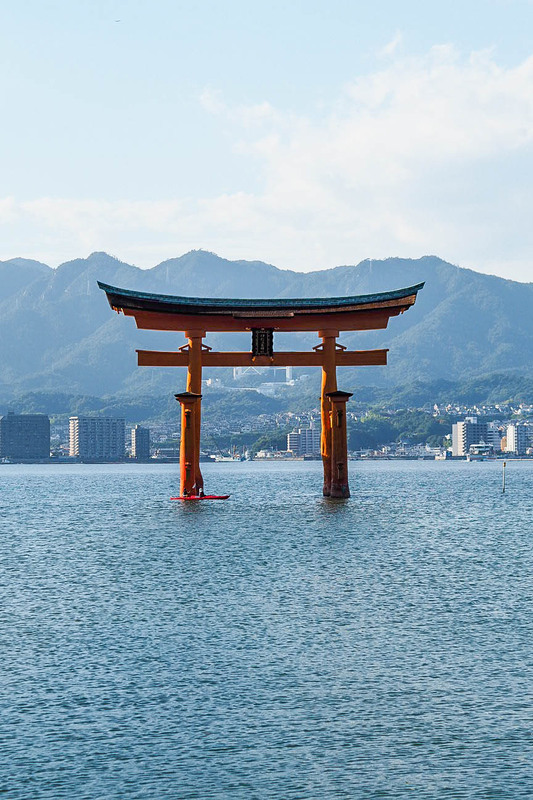 We’d timed our arrival to align with high tide, meaning the grand torii gate we’d come to visit was at its most majestic, ‘floating’ in the distance. 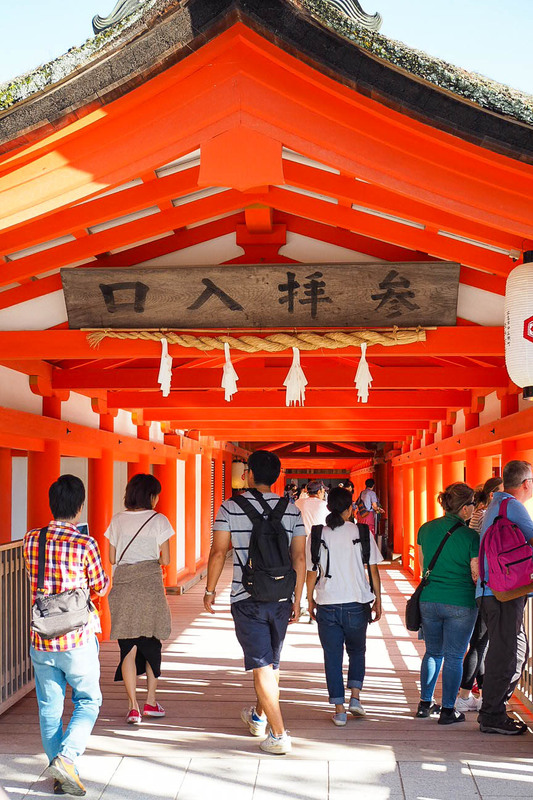 The entrance to get the best views of the gate leads you through the East Corridor of Itsukushima Shrine, built on stilts over the water, all painted in signature orange (they call it vermillion, but it’s definitely not red…). 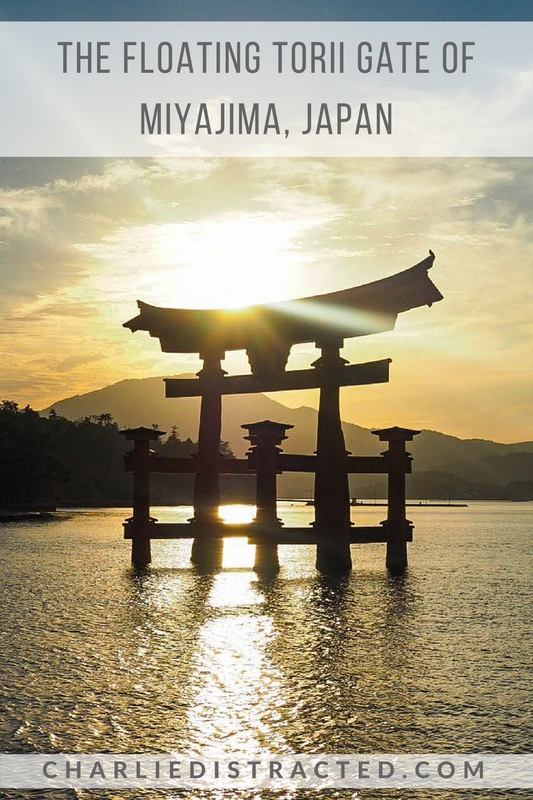 Torii gates signify the transition from profane to sacred and are found at the entrance to shrines all over Japan; you’ll see them marked on maps as recognisably as a post office or parking lot here in the UK. 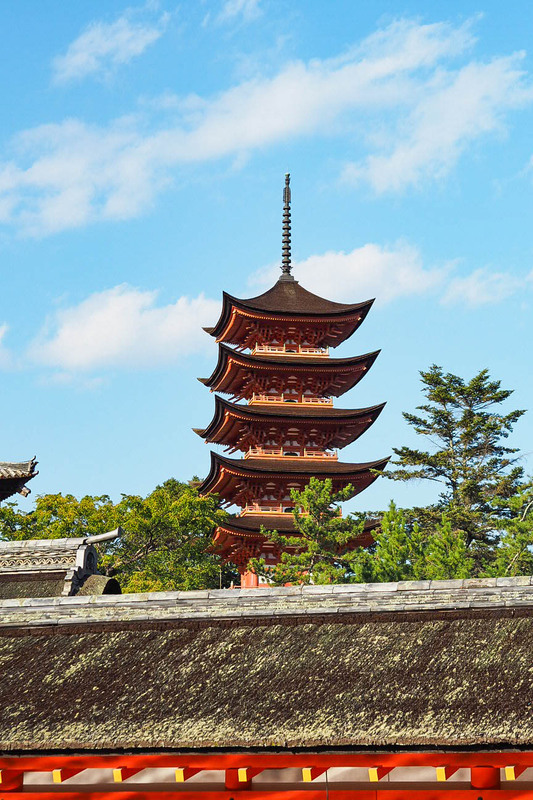 This entrance allows you to wind your way around the Shrine and see the mountains of Miyajima and the beautiful five-storey pagoda in the distance. 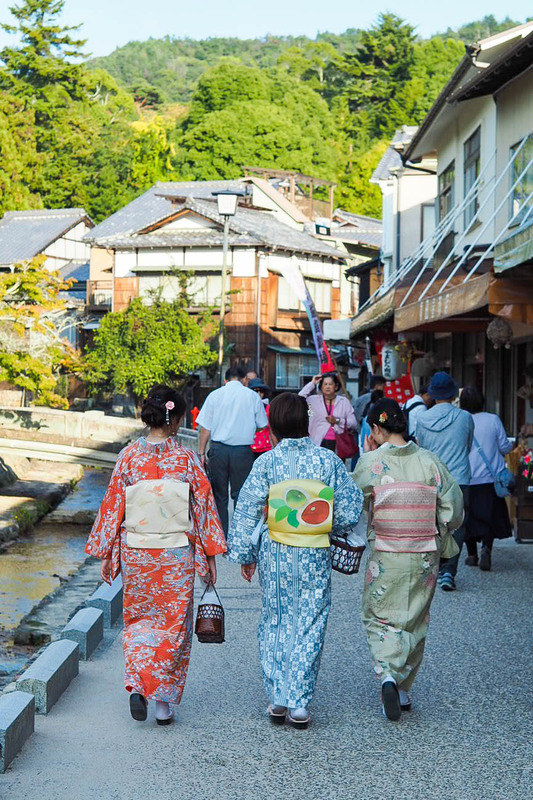 Once you’re off the walkway, you can also peruse the small town full of trinkets and souvenirs, and spot tourists in kimonos and traditional dress. 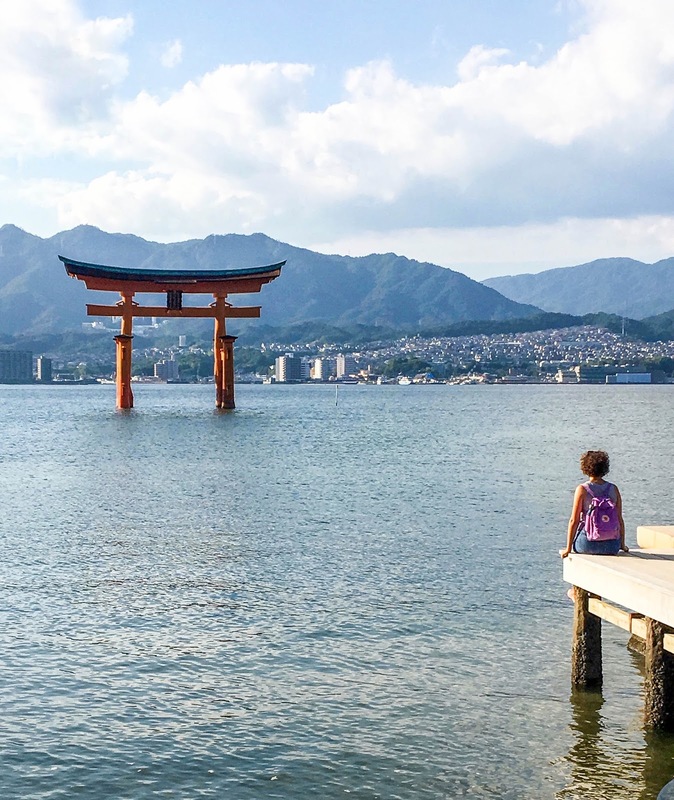 The torii gate itself only appears to be floating at high tide; when the water is lower, you can even walk out towards it from the beach area. 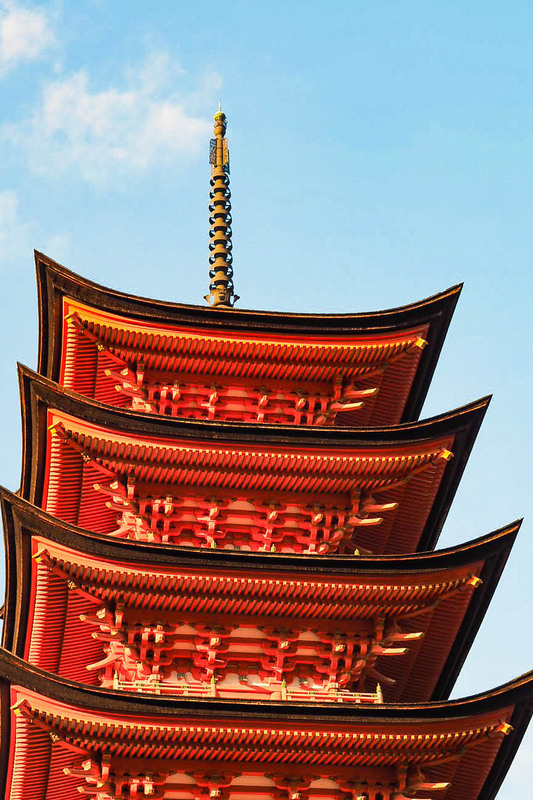 But isn’t it spectacular in its untouchable state? 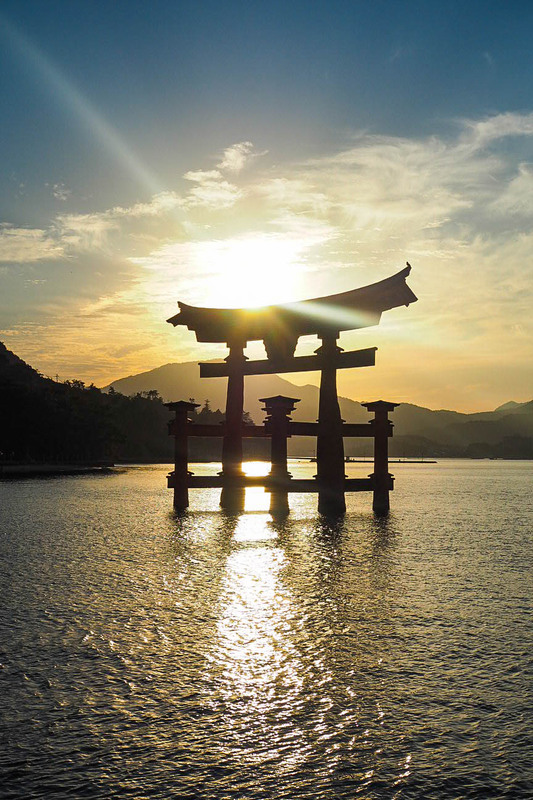 Kayakers paddled through it, otherwise it stood in perfect tranquility and as the sun set, it had a final chance to take my breath away. 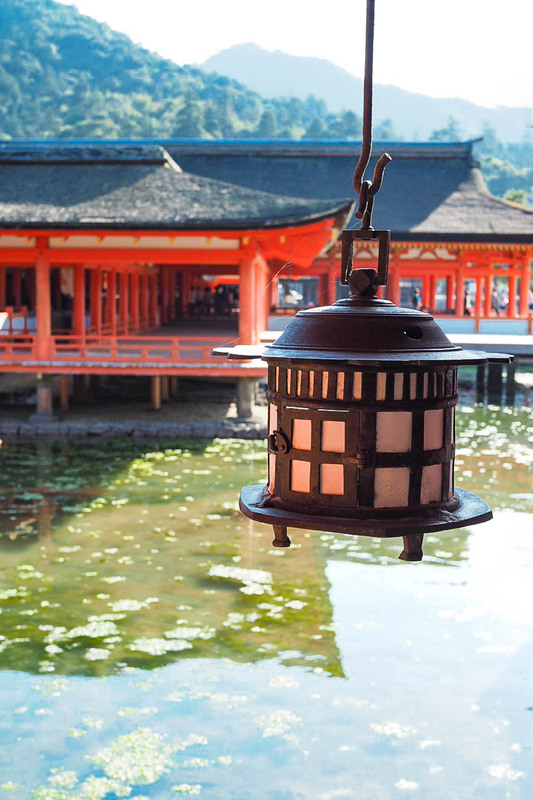 It was as magical as I’d hoped and the photos only go part of the way to capture its beauty.